What are your corporate core values and how do you express them to your visitors? Why should people do business with you rather than your competitors? Do you have any other materials that the site needs to match with in some way (brochures, press materials, etc.)? Is there any functionality or options on your current website that you plan to keep (other than the content)? Are there any websites with designs that you like? What types of things do you see on other websites that you really like? What types of things do you see on other websites that you really hate? Name the 3 things that are least important in the design of your new website. Where is your website hosted? Do you have full access? 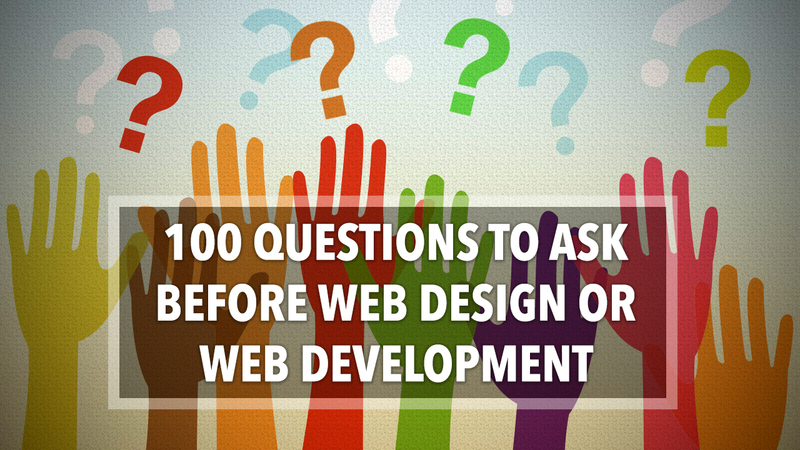 Who will be involved on your end in the development of the website? Who or how will you be managing website upkeep? Does your current web host meet all your new website’s needs (space, bandwidth, databases, etc.)? Do you plan on or need to move to a new host provider? Do you already have a URL you plan to use? If not, do you need help selecting and registering a good URL? Do you have a logo you plan to use or will one need to be created? If you have one, can you provide the original artwork files? Will you need a favicon created? Do you have a completed site architecture for the new website or will this be part of the scope of work? How many pages will the finished website be (estimated)? Do you have any page wireframes ready or will those need to be produced as part of the scope of work? How many pages of content will need to be developed? Will there be any cross promotion of content within the site? Please provide details on content cross promotion. Will we be importing and formatting your content, or do you plan to do this? Do you or your team need training for making website updates, content publishing guidelines, etc.? Do you have any specific photos you plan to use? Do you have full rights to those files? Can you provide hi-res files to us? Will we need to find and/or create any images for the website? Will video or audio be a part of the new website? Can you provide us the proper files or is creation of this content part of the scope of work? How many videos or audio files will be added and/or created? Will any customizations need to be made such as optimizing for search, adding content overlays, customized wrappers, etc? Do you have any other media or PDF documents that need to be incorporated, or will any need to be created? Will these need to be optimized for search? Do you require your site to be mobile friendly (responsive design)? Do you have any specific mobile requirements? Will you need a shopping cart system for your website? Are you in need of an upgrade? If not, do you need help selecting the best CMS for your needs? Will you need multiple levels of access for your CMS? Do you need to be able to manage content publishing approval processes? Will users need to log in to your site for any reason? If so, why? Do you need any password protected areas? What kind of content will be put behind password protected areas? How many web forms does your new site need. What is the purpose of each? Do you need any social sharing features built in (tweet, like, +1, share, etc.)? Will there be any third-party applications that will need to be integrated? What are they? Will you need an events calendar feature? Do you have any subscription services? Do you use a third party for any part of subscription content delivery and/or payment? Do you require printer friendly options? Do you wish to employ any “content-on-demand” features (i.e., hidden elements that are made visible with certain actions)? Do you want a fixed-width or fluid-width design? What information must always be visible? How would you like that to be featured? Will different sections of your site require different designs, layouts or coloring? Do you have any flash elements you want included? Will those be provided or do they need to be created? Do you want contact phone numbers prominently displayed? Do you require a database? What specific functionality will it need? Will you be offering advertising on the site? How should that be implemented? Do you have a Google Analytics account? Will you be looking for keyword optimization beyond the design/development scope?